This fall, the Philadelphia Museum of Art presents a major survey of nearly two centuries of the most intimate, intricate, and varied genre of painting as practiced in the United States. Audubon to Warhol: The Art of American Still Life explores the nature and development of still-life painting from the days of the early American republic to the emergence of Pop Art in the early 1960s. The exhibition is a fresh take on the evolution of the genre and the various ways in which it has reflected American history and culture. Audubon to Warhol began as the result of Mitchell’s conversations with the museum’s renowned director whose unexpected death in 2008 shocked the art world. It was an idea that continued to develop under the museum’s current director Timothy Rub, and expanded into a project to interpret American history, culture, and identity. 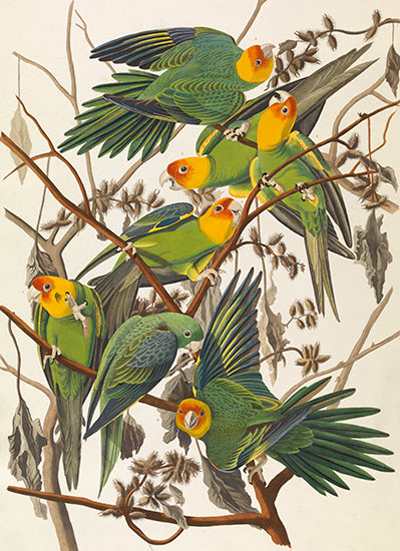 “In the first years of the 19th century, when science and art were not as separated as they would later become, there was an explosion of self-reflection with works like Noah Webster’s American Dictionary of the English Language and John James Audubon’s The Birds of America,” explains Mitchell. The first major show of its kind in more than 30 years, Audubon to Warhol brings together works of historical significance from collections around the country and it expands upon the intimate nature of still life by drawing viewers close to these often small-scale works. Rather than being organized in the conventional manner, it offers visitors an immersive experience by way of a series of encounters with small groups of paintings, arranged thematically. 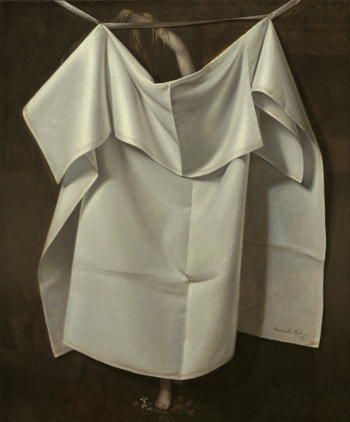 Artists include Philadelphia’s famous Peale family of painters, trompe l’oeil master William Michael Harnett, and moderns such as Georgia O’Keeffe, and Roy Lichtenstein. The exhibition surveys the history of American still life in five chronological sections: “Describing,” “Indulging,” “Discerning,” “Animating,” and “Coda: Pop.” The first section features works from 1800 to 1845 under a suitably scientific heading for precise renderings of nature such as John James Audubon’s circa 1828 Carolina Parrot, depicting a species now extinct and an example of the combined artistic and scientific ambition of his Birds of America. “Indulging,” paintings from 1845 to 1890, explores the pleasures of the senses that enraptured American still-life painters at the beginning of the Victorian era. The period of newfound prosperity and abundance is clear in vivid floral arrangements and tables overflowing with nature’s bounty. In “Discerning,” works from 1876 to 1905 reveal the lifestyles of the affluent in the years following the Civil War; “Animating” characterizes works from 1905 to 1950 that address the technological and psychological preoccupations of early 20th-century American artists. The iconic 20th Century Limited locomotive is the subject of Charles Sheeler’s 1939 classic Rolling Power. Using a selection of iconic 1960s images, the final section, “Coda: Pop” draws upon the musical term to indicate an end as well as a summation of what went before. The exhibition immerses visitors in recreated environments such as a Victorian parlor and the famous New York City saloon where crowds from nearby City Hall and around the world were drawn to view William Michael Harnett’s large-scale After the Hunt (1885). Interactive displays are designed to show the connections between art, science, medicine, food, sport and technology of the period. In service to the art, the curator has considered each and every detail of the visitor experience: the context of each section, how the paintings are juxtaposed, the tone of voice on the audio guide, gallery height, flooring, lighting, ambient sound, even the sight lines between the galleries. Blackberries and all other works in Audubon to Warhol are represented in the fully illustrated exhibition catalogue along with essays by Mitchell and others. Audubon to Warhol: The Art of American Still Life will be on view in the Dorrance Special Exhibition Galleries, on the first floor of The Philadelphia Museum of Art, 2600 Benjamin Franklin Parkway and 2524 Pennsylvania Avenue, Philadelphia, from October 27 through January 10, 2016. Also on view: Wrath of the Gods: Masterpieces by Rubens, Michelangelo, and Titian focuses on Prometheus Bound by the great Flemish painter Peter Paul Rubens (1577–1640) alongside works by Renaissance and Baroque masters, including Michelangelo’s famous drawing of the Titan Tityus and Titian’s large canvas depicting the same subject for the first time on view together. For more information, call 215.763.8100, or visit: www.philamuseum.org. James A. Michener Art Museum, 138 South Pine St., Doylestown: Veils of Color: Juxtapositions and Recent Work by Elizabeth Osborne through November 15 and Paul Grand: Beyond the Surface, opening on October 24. For more information, hours and admission, call 215.340.9800 or 800.595.4849, or visit: www.MichenerArtMuseum.org. Morven Museum & Garden, 55 Stockton Street, Princeton: Of the Best Materials and Good Workmanship: 19th Century New Jersey Chairmaking, through October 18. Charles and Anne Morrow Lindbergh: Couple of an Age, from November 13 through October 23, 2016. For more information, hours and admission, call 609.924.8144 ext.106 or visit: www.morven.org. Princeton University Art Museum: Cézanne and the Modern: Masterpieces of European Art from the Pearlman Collection through January 3, 2016, presents Impressionist and Post-Impressionist masterpieces, and a rare opportunity to discover lesser-known works by Degas, Manet, Van Gogh, and Modigliani, as well as a collection of watercolors, oil paintings, and drawings by Cézanne. For more information, hours and admission, call 609.258.3788, or visit: http://artmuseum.princeton.edu/exhibitions. Trenton City Museum at Ellarslie in Cadwalader Park, Trenton, presents An Opening Dialogue: The Nature of Abstraction, September 19 through November 8. For more information, 609.989.3632, or visit: www.ellarslie.org.